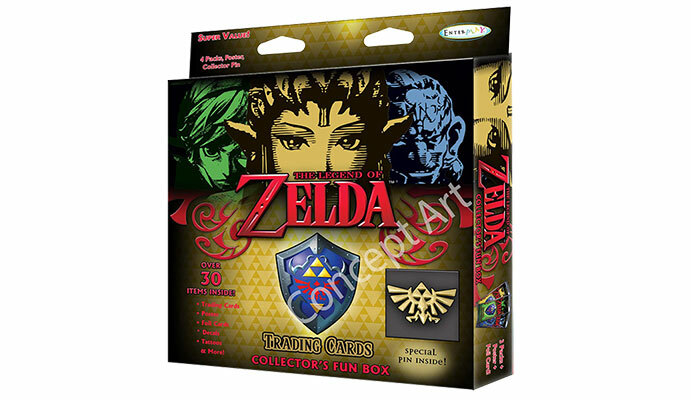 According to recent listings on EB Australia's website, Nintendo is releasing a new Legend of Zelda trading card series. Available both in random boosters of 6 cards each, and a value box containing a number of boosters as well as other Zelda themed goodies. The cards themselves cover 5 games- Ocarina of Time, Majora's Mask, A Link Between Worlds, Skyward Sword, and Twilight Princess. Whether or not these are just collectable cards or if a Zelda themed card game is involved isn't exactly clear yet. But it's still pretty neat. No Link to the Past, no sale. "Collector's Fun Box?" Uh, OK! There's A Link Between Worlds. Same thing. But is it in HD? I'll trade you a Malo and a Happy Mask Salesman for a Ravio and a third pick from your next booster pack. If you buy these cards and spread them out on your gamepad, you can pretend like you're playing Zelda U! 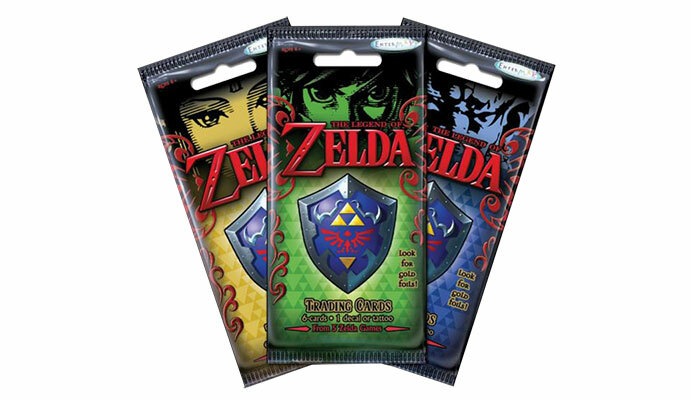 Kinda neat, but I think I'd prefer Zelda playing cards. I'm intrigued as to what these might be. Is this gonna be an E3 announcement to go along with the summer of Zelda? I'm excited for this but, surprised that the old games, Zelda 1-3, are not getting any love. Maybe for series 2. It would be really awesome to see the cards with the original art style on the manuals for each of these games. I just want it to be NEW artwork on them and not the same stuff they've been re-showing for years. @Cubed777 That's what I want, too. But, it be really cool if they would hunt down the original illustrators and have them do the new artwork. I still haven't played that Mario Party e-Reader game.